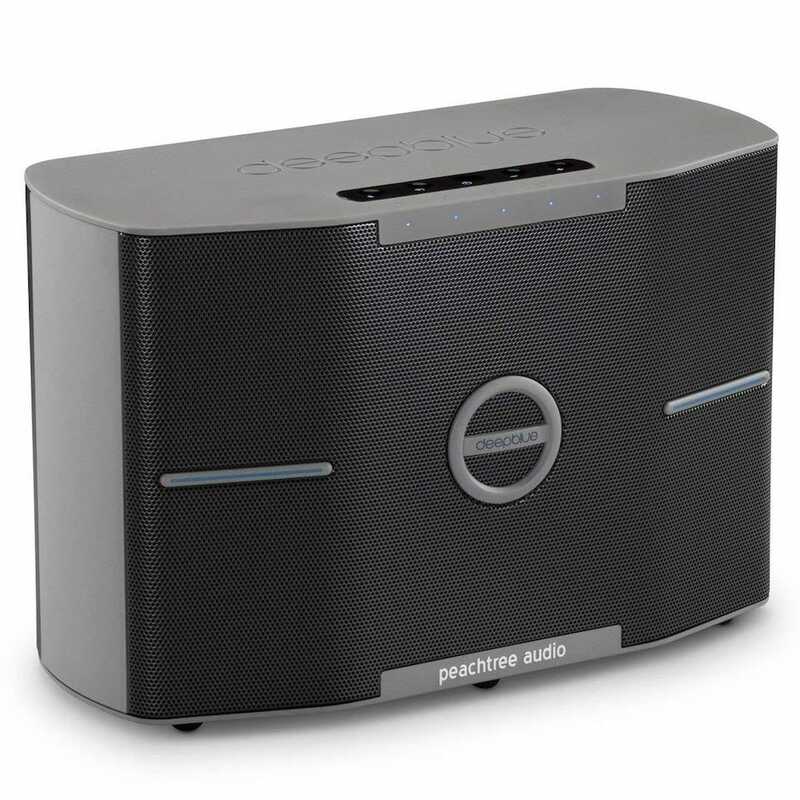 A good Bluetooth speaker can be a significant part of your living room and home environment. You need the right kind though, so we’ve checked out the best large/home sized speaker for your situation. Unlike many Bluetooth speakers, these are not designed for portability. Instead, they’re designed to be a kind of centerpiece for your home audio entertainment. Like a stereo of old but, you know, cooler and more modern. There’s a little room for flexibility here though so we’ve covered a few different bases, so you can find a speaker for every need. Not all home setups want the same experience after all, right? So read on to find out more about our favorite large sized Bluetooth speakers, and why they’re worthy of your consideration. There’s a lot going on for the Audio Pro Addon C10 which makes it worthwhile for your money. On the surface, it might look like a chunky, vaguely portable Bluetooth speaker, but it’s really not. Sure, there’s a handle but that’s for the rare cases where you want to move it room from room. There’s no battery, so you’ll still need to plug it in. It happily syncs up with additional identical speakers if you want, allowing you to either play different songs in different rooms or play the same song across your whole home. Setup is remarkably quick with everything mostly going through your home Wi-Fi network. Four presets are available, which provide you with one touch access to your favorite playlists or radio stations, and you can always stream your favorite services such as Amazon, Spotify, Deezer, and even Tidal. You get more out of this system when you buy multiple units, and maybe an additional Addon C-sub alongside it. Buying several units can cost a pretty penny, but it’s worth the investment. You can always connect your old hi-fi gear to it too, via Audio Pro’s LINK hardware. It sounds great too, and looks the part, ensuring it’s a permanent fixture in your home. The B&W Zeppelin Wireless might initially seem a little small for a home sized Bluetooth speaker, but it packs a substantial punch. Bowers & Wilkins’ has a great track record with audio products, and the hardware behind this one bears that out. Two x 1″ double dome tweeters, two x 4″ FST midrange, and a 6.5″ subwoofer drive the unit and produce great music every step of the way. Drums sound powerful, while the finer nuances of music still sounds suitably delicate. 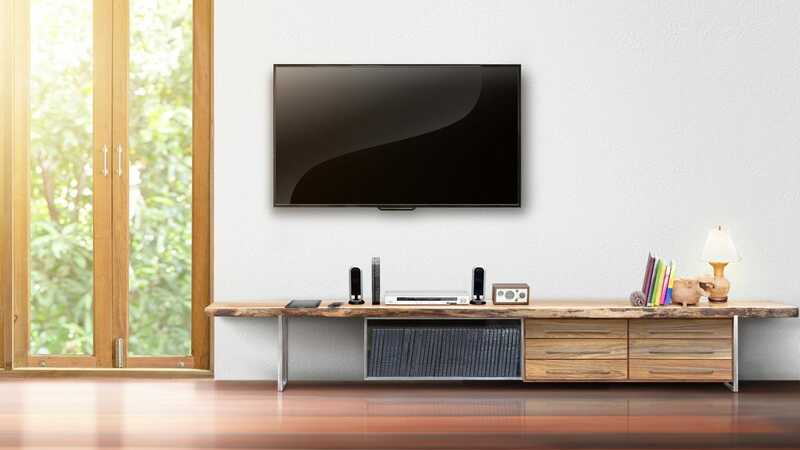 It’s easy to set things up, with AirPlay, Bluetooth, and Spotify Connect all available for streaming your music. 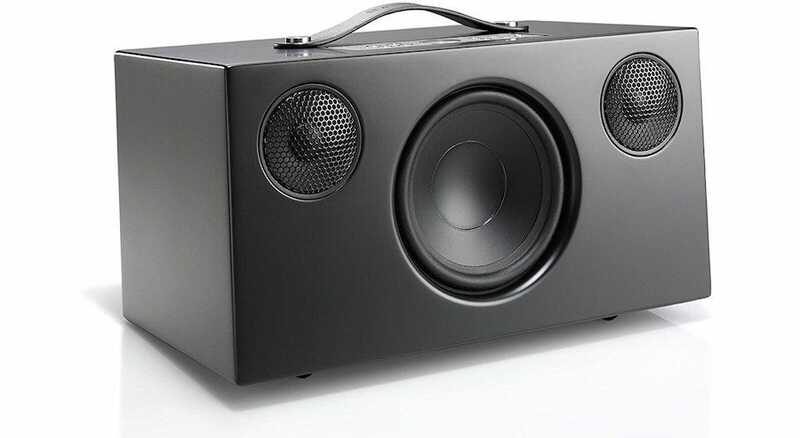 The speaker also looks super stylish, so it’ll fit into your home just right. Sure, it’s expensive but it does everything you could need in your modern home. If you’re spending a lot on a home Bluetooth speaker, you want it to hook up to a lot of different devices. The Marshall Acton originally had some early teething issues with its Wi-Fi connectivity, but it’s since overcome them, offering some useful features. If you buy multiple units, you can stream the same song across the house. It also offers plenty of way to stream. You can cast to your speaker directly via Chromecast, use Spotify connect, AirPlay, or regular old Bluetooth too. There are wired options too, so you can connect through a 3.5mm jack or RCA cord. Seven built-in presets let you quickly load up your favorite playlists or stations. Two 15W class D tweeters, and one 50W class D woofer provide high-quality sound that can fill a room. Most of the options here are pretty stylish and wouldn’t look out of place in your home. 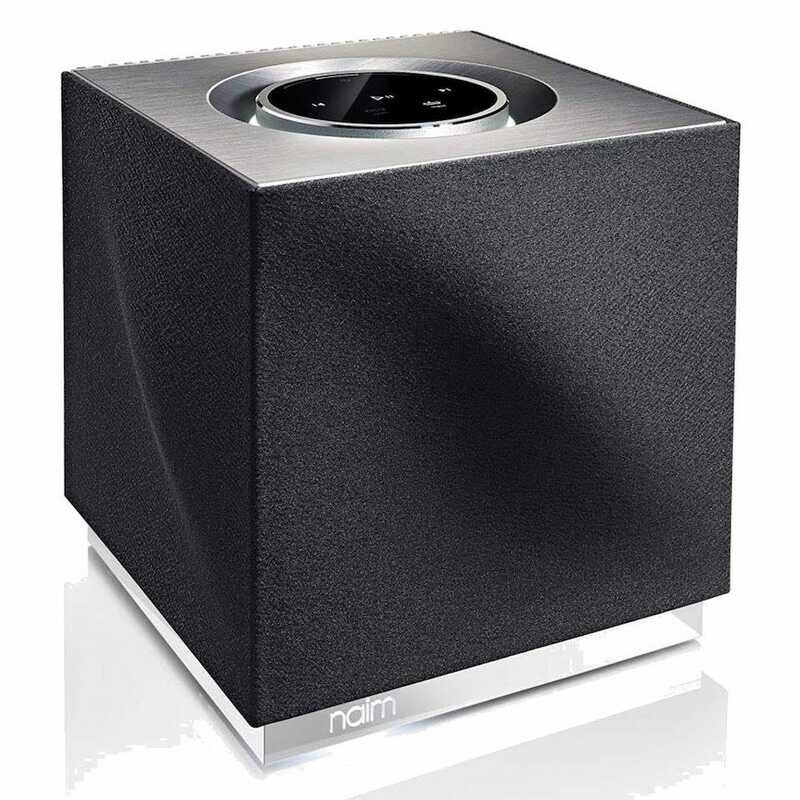 The Naim Mu-so Qb is really stylish though. Shaped like a cube, it manages to be subtle enough to blend into your surroundings while also reasonably eye catching for when your guests are looking around your new place. It’s a tricky line to tread but this speaker manages it. With 300 watts of power underneath that stylish shell, it’s small yet mighty. With two microfiber dome tweets, two midrange drivers, two passive bass radiators, and a 100W amplifier, it’s no surprise why. The speaker hooks up to your Wi-Fi, and it’s compatible with AirPlay. You can also send music from Spotify and Tidal directly to it. There’s Bluetooth aptX support, along with an USB input, and analog input. It’s expensive but truly majestic to look at. Few home based speakers are ‘cheap’ and the ones that are typically aren’t worth your money. Rather than suggesting a lousy budget option, we’d recommend you find the money for the Peachtree Audio Deepblue 2. It’s expensive but its sound quality is on a par with units twice its price. Much of that is thanks to its massive 6.5″ woofer, backed up by two 3″ midrange drivers, and two 1″ tweeters. 440 watts of power fuel the thing, ensuring you get a suitably powerful aural experience. It can pair with up to 5 Bluetooth devices, with digital and analog input for the more hands-on approach. A smart volume setting tweaks the sound level dynamically so that turning out the volume doesn’t distort your music. It might lack some of the finer streaming options, but in terms of raw musical power, the Peachtree Audio Deepblue 2 is a bargain at this price.